I received a wonderful story of inspiration last week that I want to share with you. For nearly 40 years I have worked in the employee benefits industry in various capacities. It has been a wonderful and fulfilling career. For the past five years I was in sales with a company which ironically was the most stressful position that I have ever had. So much has changed in business today and I’m not referring to advancements in technology. There is simply a lack of business-honor unlike the past. In March I turned 60 and having another good year in sales. Then, in July I was unexpectedly fired. It came from out of the blue! My employer’s justification was weak since my sales numbers were good. It was tough going home that night telling my wife that I had been fired. There were some tears. Now, who is going to hire a 60-year-old man? That was the question swirling around in my mind. 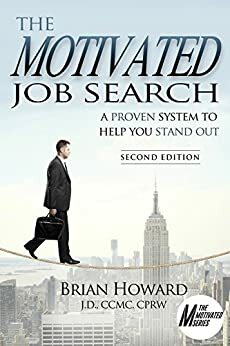 I was referred to a book, The Motivated Job Search. Two take a-ways from the book that changed everything for me. One, don’t waste time brooding! Clear your head, put all bitterness aside, and get on with your life and a new search for employment. “Don’t be bitter, be better” was my mantra! With these concepts in mind, I started making calls to my close colleagues and contacts in the industry. I sought their advice on ideas of what I may be suited for in their view. Ideas started to flow as I considered everything that they said. I opened myself up to anything and everything. After one week, I made a decision to explore a certain service sector of the employee benefits industry. I identified several companies in this new sector based on company names I gathered during my networking calls and simple Internet research. I decided to contact these companies directly by phone. I created a simple presentation of about myself so I had something to say and started calling the companies. I spoke with anyone who would listen and got transferred around several times. Eventually, I spoke with those that could make or influence the hiring decision. In this new industry sector, it was common to hire independent contractors, which was what I wanted. The plan worked! Two weeks and a day after being fired, I was offered a job! And, my first work assignment was just a few weeks away. Mission accomplished! While not at the same pay or potential income annually I was free of corporate shenanigans and all that goes with it. I am so excited that I have a new career direction still in the employee benefit space with companies that actually love my experience! That to me is worth its weight in gold!…to be appreciated and valued. I know it’s a challenge for those of us over 50 to conduct a job search especially when we find ourselves suddenly unemployed. The emotions of doubt, fear, and uncertainty can easily get to you quickly. It’s hard. I know because I lived it! But you can’t let this new reality beat you down and in particular stress you to the point of causing illness or death. My advice…Take heart! Get up and dust yourself off! Seek guidance in the counsel of others and in reading. Plot a course of action and get on with it! Just like me, you CAN write a new chapter in your career. You CAN continue your career until you want it to end…and, not the other way around.